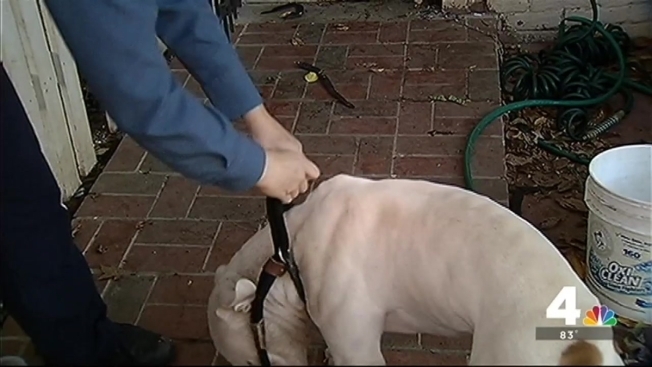 A fast-rising number of people in the Washington, D.C.-area are suffering dog bites or encountering illegally owned pit bulls, according to a yearlong investigation by the News4 I-Team. The increases, which are sharp and sudden, are partly the result of neglectful owners or people who fail to follow local animal control laws, the I-Team learned in a series of reviews of animal control reports and interviews with animal control officers. D.C. Department of Health reports, obtained and reviewed by the I-Team, show the number of dog bite incidents in the city has jumped more than 100 percent since 2007. That increase, from 214 bites in 2007 to 457 bites in 2013, is raising alarm among some city residents. The city’s animal and human populations have increased during the same time span. Field investigators with the Washington Humane Society, which responds to animal complaints in D.C., report some of the increase can also be attributed to owners who neglect to follow leash laws or prevent dogs from straying. John Fenner, a resident of northeast D.C., said a pair of stray pit bulls attacked him on a sidewalk in his neighborhood in 2013. He suffered a pair of bites to his groin. “If you have an animal not on a leash, not monitored, you cannot actually predict how they behave,” he said. Prince George’s County Animal Control officials said the number of stray dogs has plateaued in the county. But the I-Team’s review of county animal shelter reports shows a 150 percent increase in the number of pit bull seizures since 2009. Pit bulls are an unlawful breed of dog to own in the county. Those seizures, up from 192 five years ago to 427 last year, are also an indication of pet owners who neglect to follow local animal control laws, officials said. In a series of reviews of D.C. and Prince George’s County animal control operations, conducted over 12 months, the I-Team witnessed a long series of animal control officer responses to stray dogs and pit bull calls. In several instances, stray dogs ran free on busy D.C. and Maryland streets. During cold winter mornings and hot summer afternoons, the I-Team spotted animals placed outdoors in yards for extended periods of time. Those issues of neglect can lead to biting incidents, animal control officers reported. The I-Team’s review found the number of animal control calls has sharply increased in D.C. Animal control officers responded to more than 18,000 calls in the city last year, a 3,000 call increase since 2010.